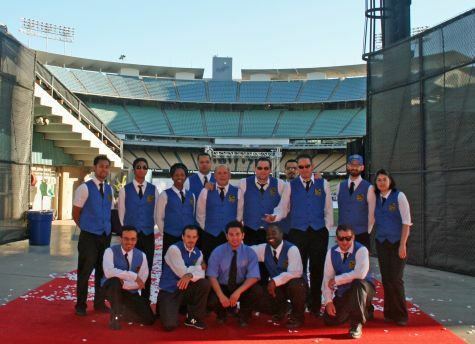 On July 11, 2009 Chuck's Parking Service provided valet parking for a private wedding at Dodgers Stadium. There were 500 guests in attendance. We coordinated with both Dodgers Stadium parking personel as well as the grounds crew to coordinate the direction and parking of the cars as well as special golf cart access on the field.